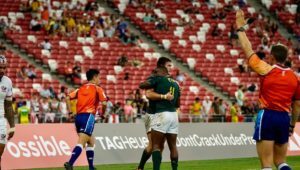 Stedman Gans says the Blitzboks will make no excuses about travel times, time zones or personal discomfort during their stay in Hamilton. 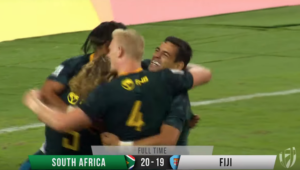 The third leg of this season’s World Rugby Sevens Series will take place in Hamilton this weekend, followed by the Sydney Sevens next weekend. 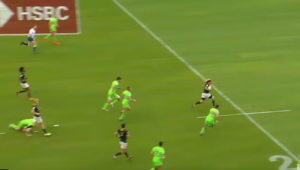 The Blitzboks travelled to the Waikato area from Cape Town last Saturday, connecting at Johannesburg and Sydney to Auckland, followed by a bus drive south to Hamilton. 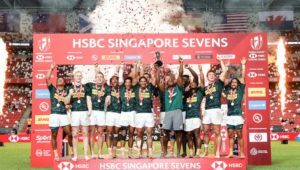 The team also encountered an 11-hour time switch upon arrival in New Zealand, but Gans, who will be playing in his 12th tournament for South Africa, said those factors will not be part of the Blitzboks’ mindset this week. ‘We actually decided a year or two ago to name this leg of the World Series the “No Excuses Tour”,’ said Gans. ‘Coach Neil Powell said to us we can complain about the time-zone disturbance and the long hours on the road, or we can embrace the challenge and get the job done. The first time we followed that approach, the team won in Wellington, and last year we did very well in Hamilton as well. 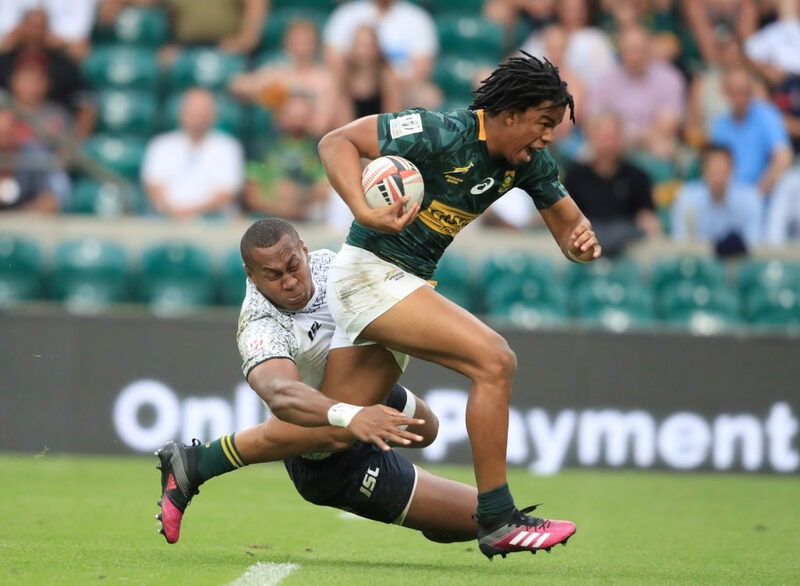 The 21-year-old midfielder made a timely return to the Blitzboks team, having recovered from a hand injury that ruled him out of the opening two tournaments in Dubai and Cape Town, where the South Africans placed sixth and third respectively. Gans showed good improvement during recent outings for the team, growing in his role in the midfield among a host of world stars around him.